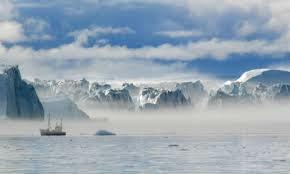 The Arctic Circle is a polar region located at the northernmost part of the Earth. The Arctic consists of the Arctic Ocean and parts of Canada, Russia, Denmark (Greenland), Norway, the United States (Alaska), Sweden, Finland, and Iceland. The Arctic region consists of a vast, ice-covered ocean, surrounded by treeless permafrost. The area can be defined as north of the Arctic Circle (66° 33’N), the approximate limit of the midnight sun and the polar night. Alternatively, it can be defined as the region where the average temperature for the warmest month (July) is below 10 °C (50 °F); the northernmost tree line roughly follows the isotherm at the boundary of this region. If you’d like to find out more about chartering a yacht and discovering this incredible part of the world, please get in touch with us. Many of the yachts cruising these areas do so only occassionally and with a good deal of exclusivity so they may not be on the website. We’ll be delighted to introduce you to them and send you further details, itineraries, PDF’s etc.